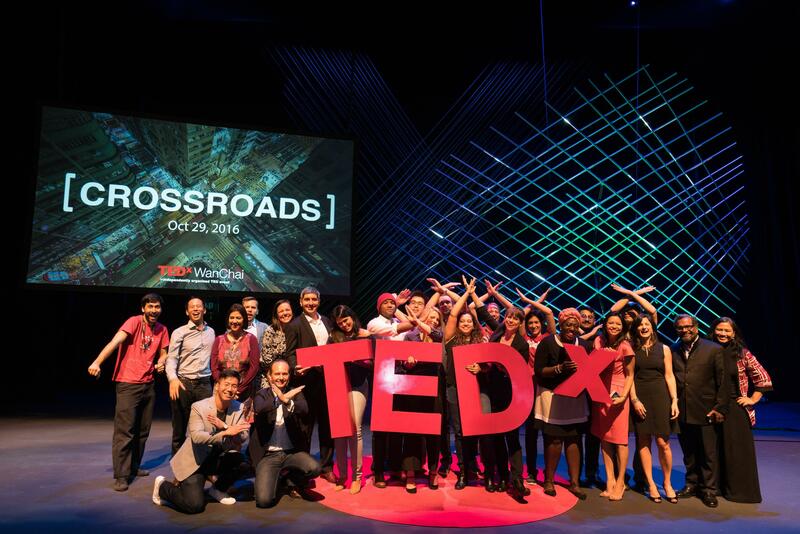 Over 1,200 people came to TEDxWanChai 2016: Crossroads on October 29, to meet 12 speakers who share their own voice on notions of space and place, old and new, identity, and global and local. 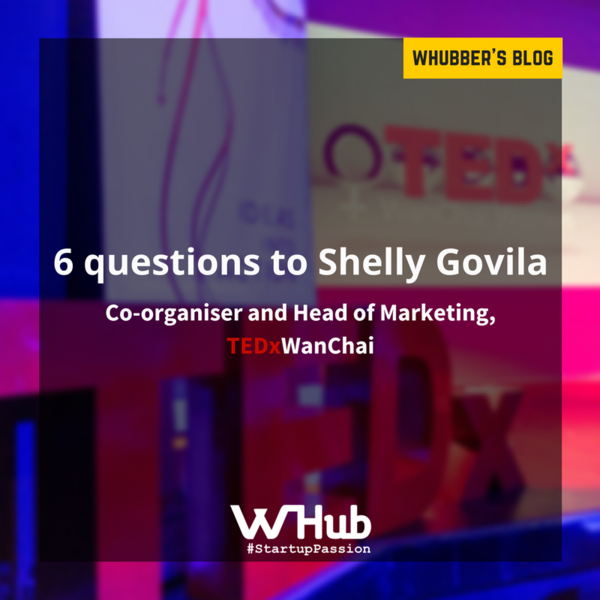 We interviewed Shelly Govila, co-organiser and Head of Marketing, TEDxWanChai, to know more about the making of TEDxWanChai, the excitement, and the challenges. 1. 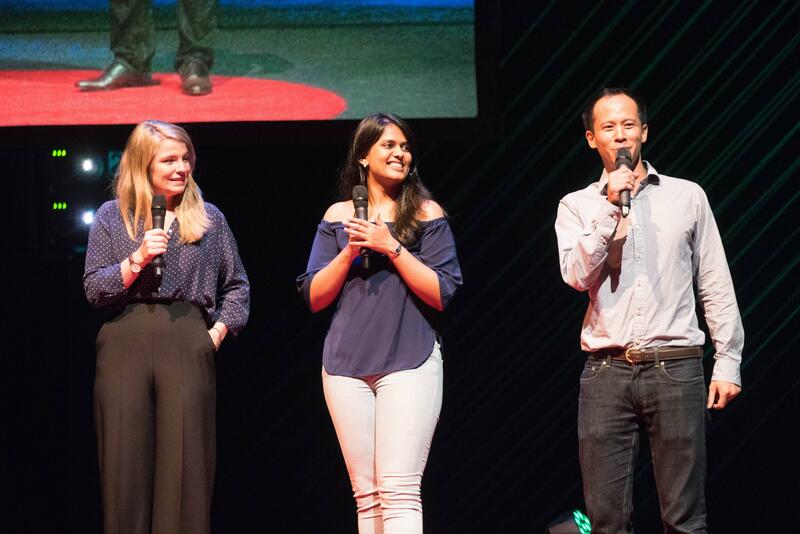 How did you get involved with TEDxWanChai? In March of 2014, I was in the final year of my undergraduate business studies at the Hong Kong University of Science and Technology, and it was the day of my very last TEDxHKUST event. That’s where I met our now-curator Vincent Ng, who invited me to meet ‘some interesting people in Hong Kong’. I didn’t know it then but I had just been recruited, and I was at the first meeting of a brand new TEDxWanChai team. I’ve been with the team ever since. 2. TEDx events are all run on a volunteer basis. What drives you to devote so much of your energy and resources after work hours to TEDxWanChai? Being a TEDx organiser is not easy. There is a lot of work involved, and it requires time, dedication, and most importantly, passion. Without passion for TEDx, it is very easy to lose motivation, especially since there are no monetary incentives involved. But then, there are so many benefits - it is intensive, challenging, and exciting work, alongside inspired and highly driven people - whether they be speakers or part of the organising team. Being a TEDx organiser also makes you a part of an incredible global TED community, it gives us a strong sense of purpose and belonging. Another factor is the speakers themselves, we get to meet and work people who are genuinely driving change in our local communities, all of whom are striving to improve systems and societies in their own way. When you see change happen right in front of you, you tend to forget about things like how many extra hours of work you’ll have to put in after your day job. 3. Now more specifically on the marketing end. 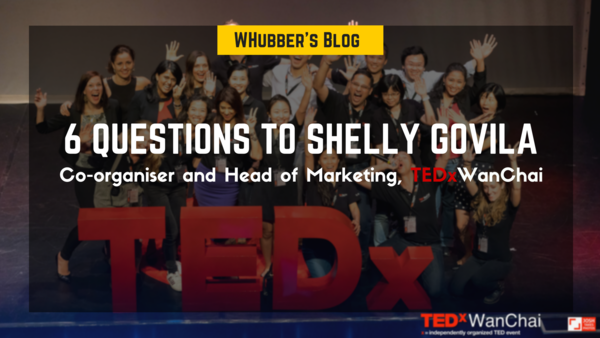 How do you go about devising a marketing strategy, voice and online presence for an event like TEDxWanChai, which covers so many topics and ideas? 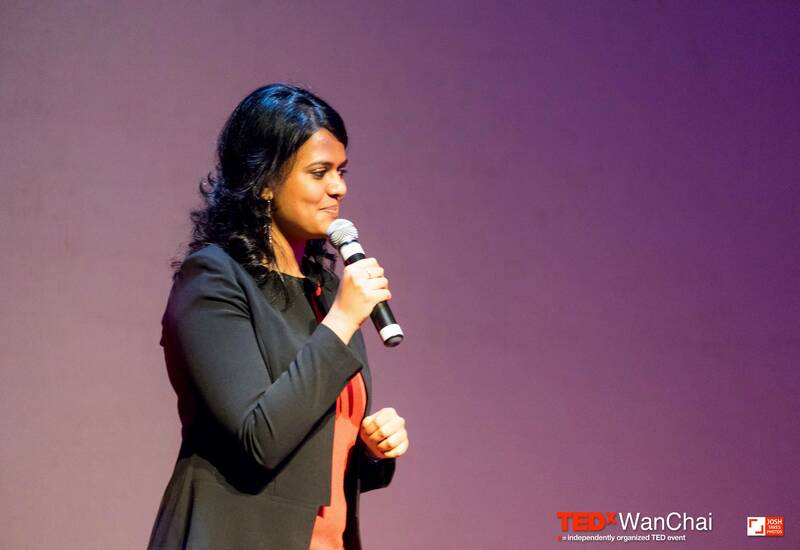 As head of marketing for TEDxWanChai, I try to make sure that the mission and vision of TEDx is protected. As a local TEDx, we strive to maintain TED’s spirit of introducing big ideas, rich storytelling and creating a multidisciplinary program. Last year, for instance, as a team, we sat down and presented the various issues that were most important to us, and we found that diversity, equality and inclusivity were areas we all felt very strongly about. And so we launched our very successful first Youth & Diversity Scholarship Programme. Working with a number of NGO partners, schools, etc., the programme offers the youth of Hong Kong the opportunity to initiate community experiences like TEDxWanChai by giving them a scholarship to attend the event, along with mentor and leadership activations, a private audience with our speakers, a backstage pass to see the behind-the-scenes of organising such a large-scale event, etc. Initiatives like these help us cross the boundaries of specific disciplines and topics - an issue that restricts most conferences - and it’s what makes TEDx events unique. Through all our marketing and communications activities, we shed light on a large variety of themes of topics, making the event relevant and vital for just about every person in Hong Kong. 4. Does having the TEDx name behind you give you a strong advantage heading into discussions with sponsors and partners? How do you convince prospective sponsors and partners to work with you? Absolutely - Chris Anderson and the incredible team at the TED Conference have created a strong brand for TED, and its value and appeal speaks for itself. Organising a TEDx event - much like organising any event - is very expensive. We have to cater for things like venue rental, food and beverage, video production, website development, marketing campaigns, stage design, interactive experiences, etc., and in order to do so, we spend a significant amount of time trying to secure sponsorships from local businesses and organisations. At the same time, we also have some mandates set by TED, where sponsors are forbidden to actually present at our events, or be promoted across our social media or marketing platforms, giving them far less incentive to get involved. This poses a great challenge. We focus on convincing them on the power of being associated with TEDxWanChai and becoming a part of the community we have created around us, and the various resources and benefits that can present. And we have found many creative ways to engage brands. Some send us their employees as event volunteers, considering TEDxWanChai as their activity for employee development, while others sponsor us in kind, offering food and drinks for attendees, or even free internet at the venue. We work on building relationships that are mutually beneficial for everyone involved, and our partners can feel that, which is why many continue to work with us year after year. 5. What's the biggest challenge you've encountered while working on TEDxWanChai? Could you tell us about a time when things didn't go to plan and how you handled it? In 2014, we met an incredible young girl, Tsang Tsz Kwan. Since early childhood, she had been visually impaired, with a serious hearing problem and a severely weak sense of touch. She had an incredible story to tell – one of inspiring ambition and determination, and beating the odds to lead an ordinary, optimistic and happy life. Unable to read Braille with her fingertips, she has become one of the rare recorded cases to develop an ability to read the tactile script with her lips. She was not used to being a public speaker, was uncomfortable with her English fluency, and was wary of standing in front of a 600 people audience she couldn’t see, to deliver a talk she couldn’t hear clearly. One of our core team members worked with her every day, for weeks on end, to make her comfortable with her talk delivery, introducing her to the rest of the team and speakers to create a comfortable space for her, and helped familiarise her with the stage and venue. True to her ambition, she did not let her disabilities stop her from sharing her exceptional life journey, and received thunderous applause and a standing ovation on the day of the event. In fact, just the other day, a friend of mine received an email from half-way around the world as part of a large newsletter chain, with a link to Tsang Tsz Kwan’s talk two years after it was recorded on the TEDxWanChai stage. Her story has truly been spread far and wide. 6. In many ways, TEDxWanChai is like a startup. Have you considered starting and running your own business in the future? Organising TEDxWanChai has definitely equipped me with a strong set of tools for starting and running a business. As is the case for many startups, a lot of money and intensive labour is invested in creating a TEDx event, and I have learned how to manage and overcome the challenges involved, as well as the importance of having a strong team with you. Yet unlike startups, TEDx events don’t look to make profit. It is not a driving motivator for us – of course, we keep an eye on ticket sales to make sure our event expenses will be covered, but our focus never wavers from creating the best experience possible. When we do make a slight profit, the extra money is simply invested in organising smaller free salon events between the larger-scale productions. I have definitely considered starting a business in the future. But if there’s anything TEDx has taught me, it is to find something you are very passionate about, or you won’t be able to stick with it, through the ups and downs, and drive it with the right spirit. The day I find something equals my passion for TEDx, I will start my own business.